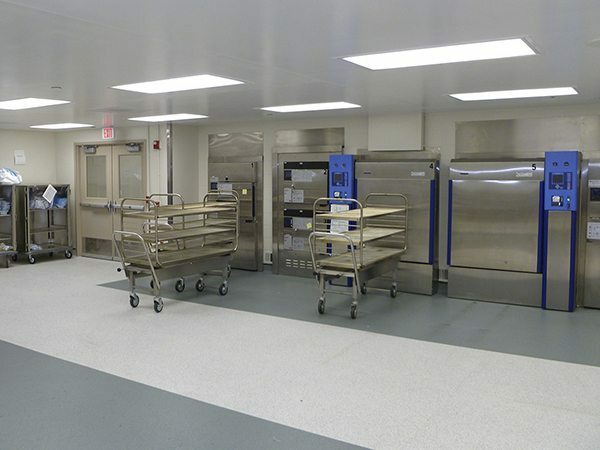 OSF’s Sterile Processing Department (SPD) plays a critical role in hospital cleanliness and patient safety, sterilizing all instruments used during surgery. To create additional working area for the SPD, OSF in-filled a large cavity below an existing building, which had never been intended as a functioning space. 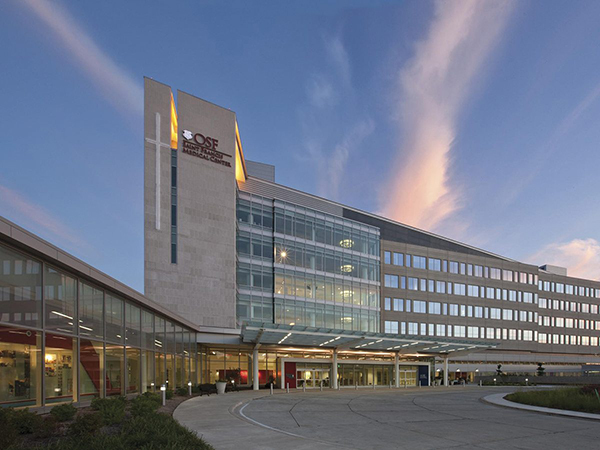 The hospital asked us to design and install new systems while ensuring the SPD remained operational at all times. Renovating a space that operates 24/7 required careful planning. We broke the project into phases, focusing first on the “dirty” side, where surgical instruments arrive for sterilization, then moving on to the “clean” area. That allowed OSF to transfer services over time and keep the SPD operating without interruption. 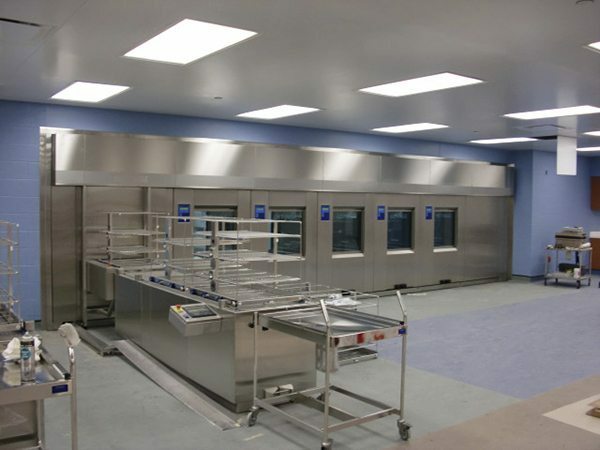 In addition to extending HVAC, fire protection and plumbing systems from the existing building, we ensured that all systems worked effectively with the SPD’s highly specialized equipment, including cart washers, conveyor systems and automated washing systems.